Strong performances and a few touching moments aside, this is a very crass film. It's severely misguided and the fact that it earned a Best Picture nod absolutely bewilders me. 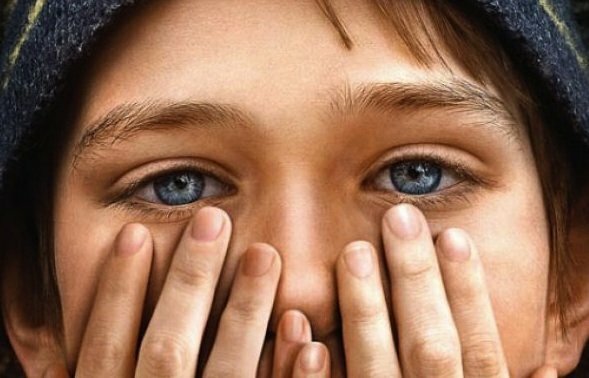 Despite being a Best Picture nominee at this year’s Oscars, Stephen Daldry‘s Extremely Loud and Incredibly Close feels very underwhelming and completely mediocre. Based on Jonathan Safran Foer’s novel of the same name, the film is nothing more than a misguided attempt that does all it can to peacock for Oscar gold. It’s preposterous, outrageous and it drowns in its own self-importance and pretentiousness. The film revolves around Oskar Schell (Thomas Horn), a brilliant young boy who suffers from a social/anxiety disorder. Asperger’s is alluded to but never confirmed. His father Thomas (Tom Hanks) was killed during the 9/11 attacks and his death has had a significant impact on Oskar as well as Oskar’s mother (Sandra Bullock). As a young child who lost his father (who was also his best friend and role model), Oskar is desperately searching for answers, trying to make sense of it all. He’s looking for something tangible that will give him some sort of closure. A year after the attacks, he finds a key hidden in his father’s closet. Oskar takes this as some sort of clue that his father must have left for him. Realizing that this may help him make sense of what he calls “the worst day” and perhaps even make him feel closer to his father now that he’s gone, Oskar devises a plan to figure out what lock the key opens and hopefully, find out what his father left for him. In terms of plot, it’s rather dull. Most of the film follows Oskar desperately trying to find out what the key unlocks in hopes of feeling closer to his father. The problem is, there is no buy in from the audience here. Speaking for myself at least, I never felt like the key would solve all Oskar’s problems or fill the hole in his heart. In fact, throughout the film I had doubts that the key would lead to something insignificant. Due to this, it was difficult to really care about Oskar’s journey or connect with him on an emotional level. It seemed more gimmick-y than anything else and when you throw in Daldry’s use of 9/11 as a backdrop for everything, you can’t help but to feel that it’s simply exploited for fictional and melodramatic reasons, which is not alright. Daldry throws numerous gimmicks at us, the worst being six emotion filled messages left by Mr. Schell on 9/11 which are strategically counted down to keep us in suspense. Then there’s the completely out of left field turn around that Bullock’s character goes through at the end, which feels very far-fethced. If the film does have one thing going for it, it’s the performances. Tom Hanks makes an impact with his limited screentime and Sandra Bullock is excellent as a grieving widow trying to deal with her problematic son. One scene in particular where Oskar says he wishes it was her in the building is fantastic and features some great acting on Bullock’s part. Then there’s Max von Sydow, who brings a lot of emotion to his role and manages to say an awful lot without really saying anything at all (his character is silent). He plays an old man who joins Oskar on his quest and a number of moments that the two share are genuinely moving. Even though he doesn’t say a word, he often owns his scenes. Viola Davis and Jeffrey Wright also show up and manage to put forth worthy efforts despite playing cardboard characters. Wright especially shines in his one scene opposite Horn. And then there’s John Goodman who is in a bit of a pointless role but is still just as enjoyable as ever. The real star here though is Thomas Horn who plays young Oskar. It’s a highly emotional performance that has Horn hitting all the right notes. He carries the emotional roller coaster ride of a film on his shoulders and never once drops the ball. His work here is flawless and Horn is entirely convincing. That being said, Oskar is a bit of an annoying character. He’s obnoxious and bratty and as the film goes on, he can become a nuisance. Aside from the acting, there are a small handful of emotionally powerful scenes in the film that do work. The problem is, they are few and far between and at the end, we’re left with an absolute mess of a movie. The performances are all excellent and there are few moments of genuine poignancy but on the whole, the heavy-handedness of Roth’s script and Daldry’s direction is just too much to handle. Thankfully, the Blu-Ray itself is fairly strong. The film was shot digitally and it looks great on Blu-Ray in just about every area. Chris Menges’ cinematography looks excellent and the image carries a natural warmth. Noise is nonexistent and fleshtones are all accurate. Vivid colours, bold contrast and solid black levels round out what is more or less a perfect image. Precise directionality and crystal clear dialogue highlight the audio track. Surrounds don’t do a whole lot but the busy New York streets come to life wonderfully as Oskar traverses the big city. Alexandre Desplat’s excellent score plays an integral role in the film as well and it sounds as good as it possibly can. As for special features, here’s what we get. Making Extremely Loud and Incredibly Close: Stephen Daldry, screenwriter Eric Roth, Tom Hanks, Sandra Bullock, John Goodman and a some other members of the cast and crew take 20 minutes to discuss adapting author Jonathan Safran Foer’s novel and the difficulties that came with that. They also discuss the usual topics like casting, storytelling, production design and of course, 9/11. Finding Oskar: A quick eight minute feature that looks at Thomas Horn and how he handled his first feature film. Ten Years Later: This 11 minute feature is a retrospective of sorts on 9/11 that is quite touching and focuses heavily on real life 9/11 victim Daniel McGinley. Max von Sydow: Dialogues with The Renter: This excellent 45 minute feature was actually put together by von Sydow’s son. It focuses, of course, on Max von Sydow and his work on the film. It’s an intriguing and very interesting look at the legendary actor and it’s easily the best feature on the disc. Frankly, the disc itself is a whole lot better than the actual film. If you saw the film in theatres and enjoyed it then this disc is a no brainer. But, if you haven’t seen the film yet, I suggest you steer far away from this one. Strong performances and few touching moments aside, this is a very crass film. It’s severely misguided and the fact that it earned a Best Picture nod absolutely bewilders me. Extremely Loud and Incredibly Close? More like Extremely Offensive and Incredibly Dull.